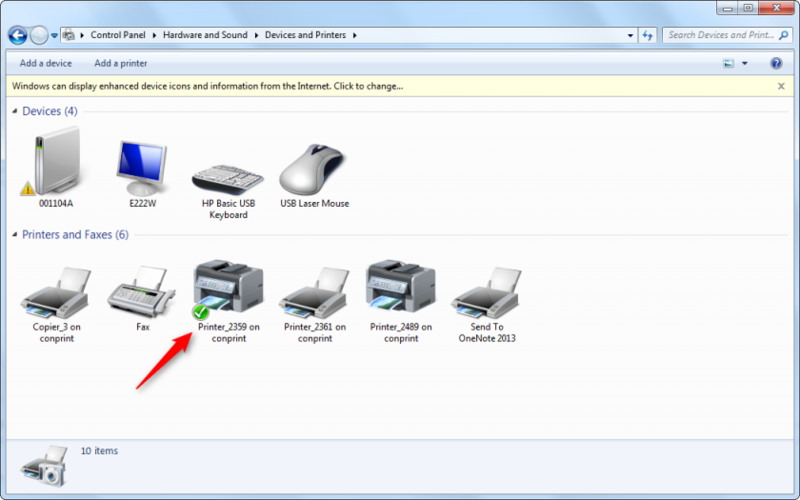 On this page, you will learn how to install a printer at the College of Nursing on a Windows 7 computer. Note - You must use the Internet Explorer browser to add printers. You cannot use Firefox or Chrome. Choose the floor you are on. Click Open on the prompt that appears at the bottom of the browser. 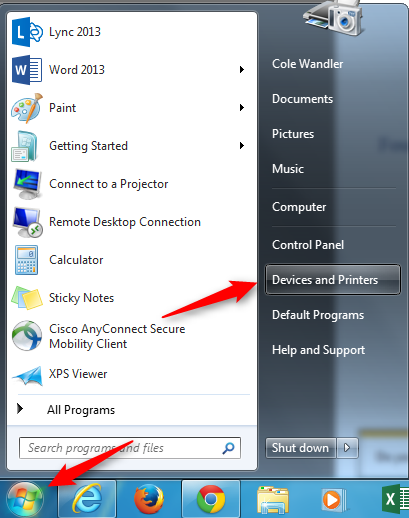 Click on the Start Button in the lower left corner, and choose Devices and Printers. In the Printer and Faxes view, you can see if the printer you selected was added. 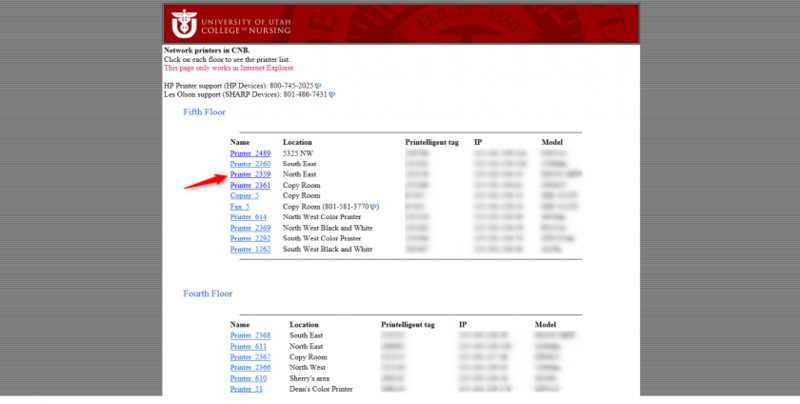 If you do not see the printer you chose in the Printer and Faxes view, repeat steps 1 - 8 or call 801-587-6000 for further assistance.